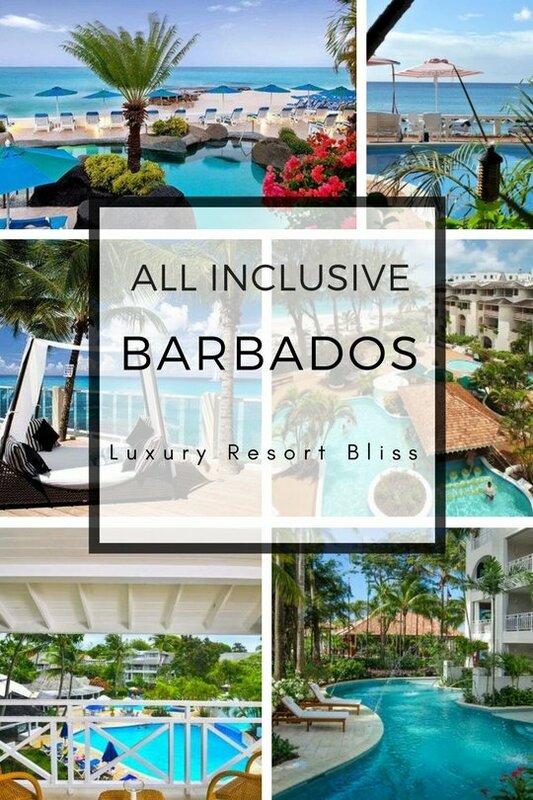 Looking for some great all inclusive resorts Barbados? Here are our top recommendations for a fabulous vacation. These recommendations are based on our research of past guests ratings and what the resort has to offer you. 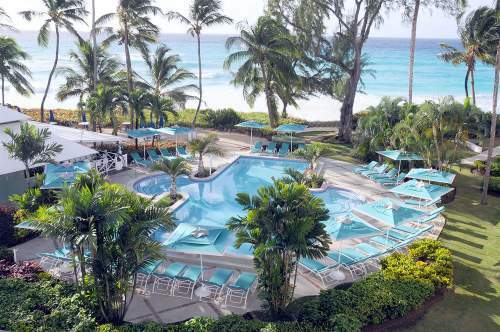 A gorgeous beachfront 4 star resort on the west coast of Barbados. It's not too large, offers many water sports, is close to the airport and won't break the bank. Mango Bay receives some of the best reviews of all the resorts in Barbados. Rarely do you find such a lot of positive reviews about a resort. We have found as a traveler that this amount of positive feedback usually amounts to a pretty nice stay. 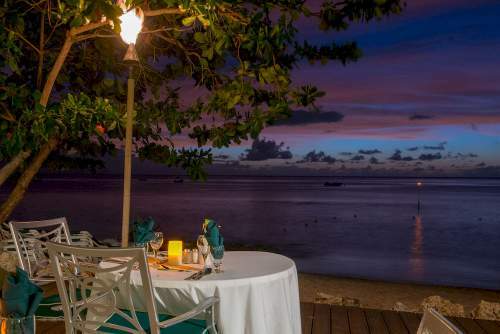 Crystal Cove is another very highly rated resort in Barbados. It's a beautiful beachfront 4 star resort close to a Marine Park and nature sanctuary. There's good snorkeling and water sports. A lovely terraced pool and restaurant. All inclusive includes meals, drinks, activities, gratuities, use of both land and water sports equipment and children's activities. Reviews of Crystal Cove are fantastic - nearly perfect. Reviewers state that this is the place to be if you're looking for a quieter place - it's not a party spot. Many past guests note how clean it is and how great the staff are. 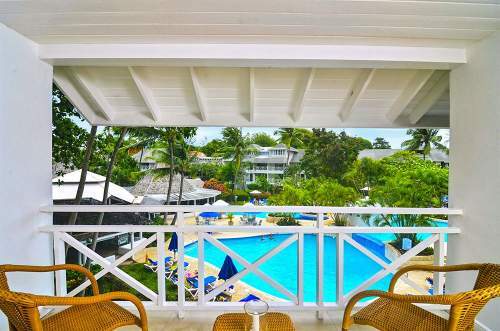 See the latest reviews for Crystal Cove All Inclusive Resort Barbados. Official website for Crystal Cove. Set on a 1500-foot beach in Christ Church, this resort has an informal atmosphere, lots of water activities, a kid's club, and nightlife and dining nearby in St. Lawrence Gap. This resort is great for families - reviews state that the kids club is "utterly superb". Past guests have noted that staff take their dietary considerations seriously and will provide suitable food. Facilities are excellent overall. See the latest reviews here. 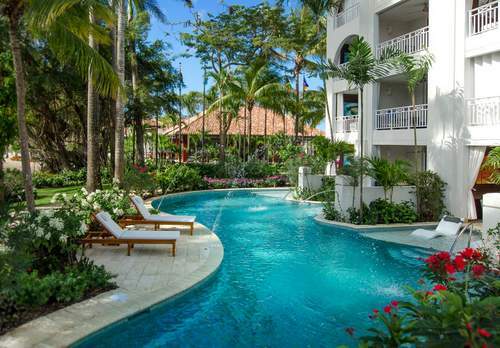 A great adults only all inclusive resort on the West Coast of Barbados. Highlights include great oceanfront rooms and suites, freshwater swimming pools, a spa, water sports and entertainment. Drinks and dining are all inclusive. Guests over 16 are welcome here. There are many more things to do nearby including more great beaches, tours, shopping and dining. Reviews are quite good with past guests noting the great views from the rooms and good food. Some have questioned the price lately so we'd recommend seeing what others are saying currently with the link below. 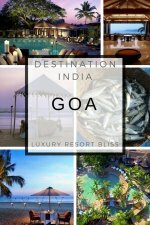 Bougainvillea is a very highly rated resort but not an all out all inclusive resort. It has all inclusive packages that you would choose. This is a great spot for families. 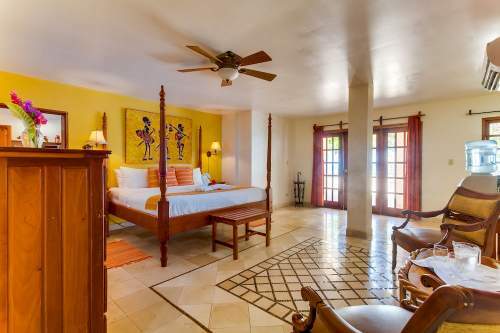 This resort in St. Lawrence Gap has upscale accommodations including a variety of suites, 2 restaurants, full-service spa, kids club, family-friendly activities, 2 white sand beaches and 3 pools. Weddings and groups do well here and give great reviews. It's also certified as eco-friendly! Reviews are excellent here. Guests have loved the accommodations, the food at the restaurants, the kind and welcoming staff and say the beach is amazing. More information, pictures and the latest reviews for Bougainvillea Beach Resort. Almond Beach Resort is a great all inclusive resort that works great for the family and couples alike. There are 3 restaurants, 5 swimming pools, a kids club, spa, a watersports centre, tennis, a putting green, squash and more! There's also a weekly beach party! Honeymooners love their reception at this resort. Many past guests note the welcoming staff, the great turtle boat trip (which is included) and say it's great with kids. See the latest reviews for Almond Beach Resort. Find deals and get more information at Almond Beach Resort with Expedia. 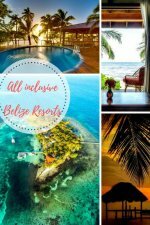 There are a few more resorts that are all inclusive that are worth a mention. Waves is a smaller all inclusive hotel on the beach with 3 restaurants, a spa, 2 pools, supervised kids activities and more. Reviews are good here overall with past guests noting the spa treatments, friendly staff and great views from the rooms. More information and the latest reviews for Waves All Inclusive. 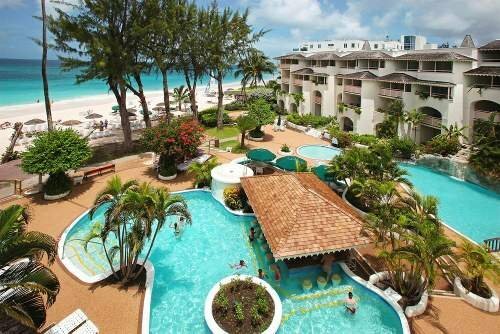 Our final resort mention is Barbados Beach Club All Inclusive Resort. It has all of the things you would expect at an all inclusive resort - meals, entertainment, pool, etc. It just gets slightly lower reviews from past guests. This could mean finding a great bargain however. 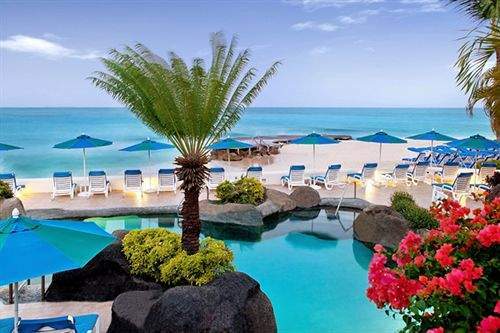 To check it out, see Barbados Beach Club All Inclusive Resort here. For more resorts in Barbados, take a look at the right hand menu or check out the best Luxury Resorts in Barbados. For more all inclusive resorts, visit Caribbean All Inclusive Resorts. Which resort looks the best to you? Have one to recommend? Let us know below. 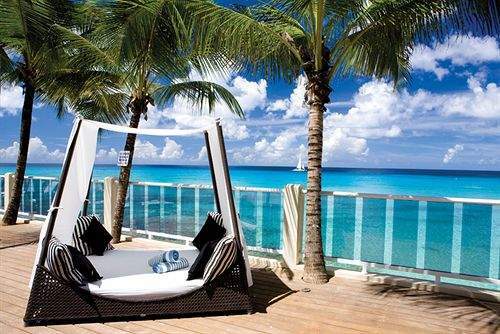 Thanks for visiting all inclusive resorts Barbados.